Cruise into fall with a new carryall crafted by one of these talented local makers. “Grapa” washed-linen-and-canvas tote with staples, $250, Christian Restrepo. “Sadie” leather shoulder bag, $525, Frank Clegg Leatherworks. “Luca” locally sourced leather tote, $720, Gina DeWolfe. 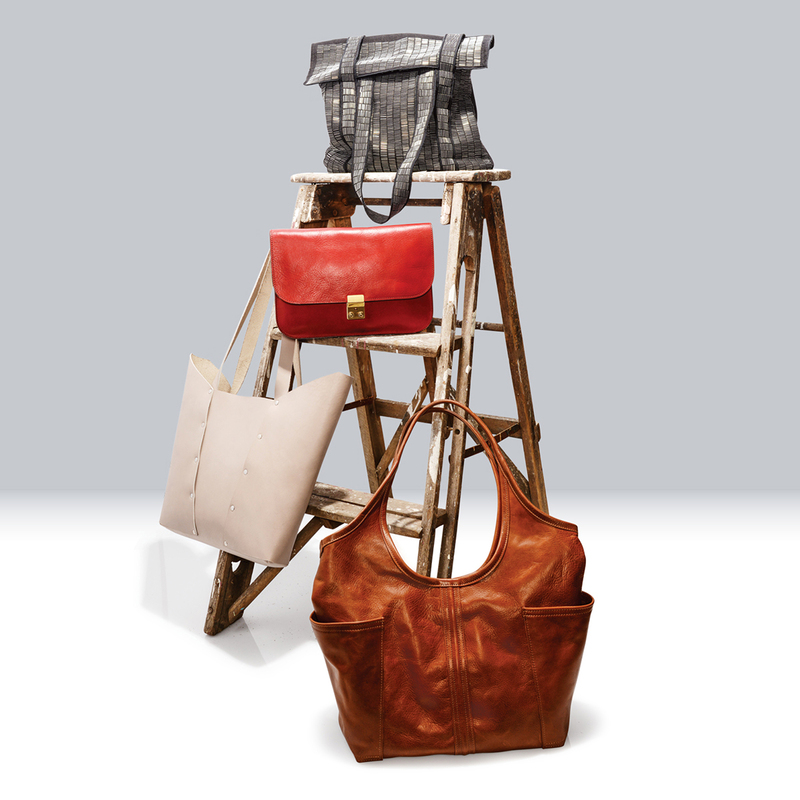 “Access” leather tote, $368, Rough & Tumble.